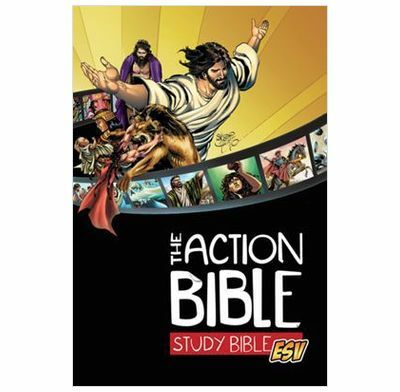 The Action Bible introduced millions of people to the Bible with its unique storytelling and dramatic comic–bookstyle illustrations. Now, preteens and up can go deeper with The Action Bible ESV, written by an extraordinary team of divinity scholars and teachers and illustrated by renowned artist Sergio Cariello. Combined with the complete text of the ESV Bible.